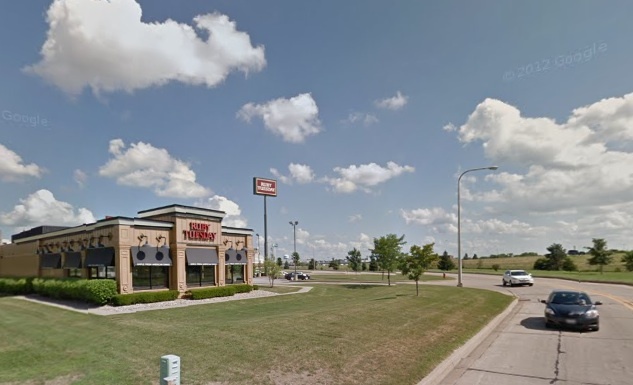 Greetings from the Ruby Tuesday in Morton, Illinois…. Midwesterners will tell you it looks like this here all the time. Do not believe them! It’s February, run for your lives! Here at RT the wifi is strong, the severe winter storm du jour has another couple hours to go, and I’m somewhere in between where I was (the folks’ house) and where I’m going (a visit with a certain devilish defensive dictator from the Dakotas). My suggestion is that we start obsessively tracking the bands of non-catastrophic weather. Let’s have “urgent sunny weather” warnings. Or name the good-weather days. “Sunny Day Ivan is shaping up to be the best in memory,” etc. Because what we’re doing now weather-wise clearly ain’t working. Last week I rolled out the concept of FIF, or the Fordham Inflation Factor, and the brand new metric is already a smash hit! And by that I more specifically mean I still use it seven days later. In that same spirit, today I bring you the Rutgers Inflation Factor. Teams that have the good fortune of playing the Scarlet Knights can on occasion see a big improvement in their Tuesday Truths numbers. See what I mean? There is some serious RIF at work in that “+0.28” you see up there in the real (multi-game) Tuesday Truths next to the Cards’ name. So, no, I don’t necessarily believe that, as that gaudy number would seem to suggest, the Ville is truly the greatest college team of all time, better than Kentucky 2012 and Kansas 2008 combined. In fact I’m even on the record as suspecting that Pitino’s men are going to drop a couple more games. I do think, however, that Louisville is likely being underrated (as in not in the AP top 10 at the moment). If this group really does end up being seeded on, say, the 4 or 3 line, you don’t want to be the 1 or 2 that has to face this team in the Sweet 16. And surely the safest conclusion we can draw about the Cards’ season to date is that the sturm und drang surrounding Chane Behanan’s dismissal — it was said at the time that Louisville’s season was effectively finished then and there — may turn out to have been misplaced. Depending on one’s own tastes, Montrezl Harrell has either been just as good or possibly even an upgrade at power forward. File this as Exhibit B under “Unexpected Player Departure Impacts Are Inherently Structured to Be Overstated.” Better yet file it under something way more concise. Since last we met in this space Tyler Ennis did something remarkable and buzzer-beating, and a timely steal by Rakeem Christmas enabled Syracuse to pull out a win at home against NC State in the final seconds. Jim Boeheim has his team in full NBA “I Love this Game” mode (just tune in for the fourth quarter), and it’s wonderful. Three of the Orange’s past five games have come down to the final possession of regulation, and over that span (where, bear in mind, Boeheim’s men have played four home games) Syracuse has outscored opponents by a crowd-pleasing edge-of-your-seat small margin that would fall comfortably in between Pitt’s and UNC’s in the columns above. So snort dismissively at tomorrow night’s home game against Boston College at your peril. It may turn out to be the latest in a series of classics. Oh, and the road game at Duke this weekend has potential too. Weekly Syracuse tempo tracker: Still slow (No. 127 of the 127 teams tracked here), but who cares? I put it to you that Orange games are somewhat entertaining. Talent trumps pace. Keep that in mind next season when someone’s yelling at a slow team that’s not No. 1 and undefeated. Weekly “We will all toil in Virginia’s underground sugar caves” tracker. The Cavaliers will play three of their last five games at home, and just one of those remaining opponents is currently projected as an NCAA tournament team (Syracuse, coming to Charlottesville on March 1 — should be fun). It is therefore likely that Tony Bennett’s men will indeed end the season with a really spiffy number here. Who’d a thunk. Ranked Big 12 teams have become a good deal more scarce than they were earlier in the season. There are now just three such programs, and two of them will collide this evening in Ames when Texas takes on Iowa State. I’ll be watching that game and indeed the rest of the Big 12 season with a fair degree of cognitive neediness, because at the moment I can’t figure out Fred Hoiberg’s team. ISU is ranked No. 17 and is still being projected as a No. 4 seed (! ), but over the past 895 possessions of basketball these guys have been exactly as good or bad on both sides of the ball as Baylor. (Only faster.) I’m open to persuasion, Clones. Show me that 4-seed-worthy performance. TCU is inverse Louisville. Truly, just Just flip the numbers for in-conference points scored and allowed. It’s uncanny. Speaking of the Horned Frogs, I continue to be unduly diverted by their complete and indeed historic futility on the defensive glass. Pulling down just 54.8 percent of Big 12 opponent misses, TCU turns each of your missed shots into something remarkably close to a 50-50 ball. It makes me want to schedule Wyoming or Saint Louis against these guys, just to see if even Larry Shyatt and Jim Crews can be lured into going for a (gasp!) offensive rebound. Watch St. John’s the rest of the way. I don’t know if Steve Lavin’s men have enough season left to convince the men’s basketball committee to give them a bid (Xavier, Providence and Georgetown are still ensconced above the Red Storm in the mocks), but if you had to pick one non-Creighton-Villanova team from this league right now to win a game on a neutral floor against a top-25 opponent, you’d go with SJU. After a disastrous 0-5 start in Big East play, St. John’s has combined accurate (54 percent) two-point shooting with really good defense (allowing 0.98 points per trip). No, D’Angelo Harrison hasn’t turned over a new leaf (the 41 percent two-point shooter is hitting 42 percent of his shots inside the arc over those eight games), but look at JaKarr Sampson now. During this eight-game happy time the sophomore has drained 56 percent of his twos. For the first time in a while Lavin’s getting defense and (gasp!) made shots from the same five on the floor. Assuming St. John’s can take care of business against Butler at home tonight, the game at Villanova on Saturday looms very large for the Red Storm’s tournament resume. As the Big Ten season enters its final third, it appears increasingly likely that no team is going to run away with this thing — whether in the standings or in Tuesday Truths’ artfully arrayed columns. The league still ranks No. 1 nationally at KenPom, but what good is that if you don’t have any big scary teams? After Sunday’s loss at home to Nebraska, Michigan State’s clinging to a No. 2 seed with its fingernails in the mocks. The conference owes part of its statistical preeminence to the mere fact that no member is drop-dead terrible in D-I terms. (No Illinois jokes, please.) That makes for some entertaining and less predictable hoops — every team in the league’s been beaten on its home floor — but it also means putative contenders like the Spartans or Michigan or whomever may well be plucky underdogs when the tournament’s second weekend rolls around. Indiana’s not drop-dead terrible, but the Hoosiers have nevertheless surprised me this season by being terrible at elemental activities like making two-point shots and taking care of the ball. With a turnover rate that currently stands at 23.1 percent, IU’s on-track to be the worst ball-handling team the Big Ten has seen in four years. Resist Rote Point Guard Idolatry (RPGI). The Hoosiers’ atrocious turnover rate has occurred side-by-side with two countervailing forces. The first is a Big Ten-led movement toward low-low-turnover ball that’s caught on like a YouTube cat video across many of D-I’s top conferences. The second, of course, has been a very nice sophomore season from Yogi Ferrell, who has made a Drew Neitzel-esque leap forward from pass-first point guard to scoring point. Ferrell’s become a reliable perimeter threat (ask Michigan), and his per-possession turnover rate has dropped. And those two positive developments simply haven’t been enough to move the needle on this offense. The next time you hear an announcer say “it all starts with” point guard play, remember it all doesn’t finish there. Having teammates like Victor Oladipo and Cody Zeller helps too. At the moment Arizona is ranked No. 3 in the polls, and UCLA’s checking in at No. 23. Other things being equal we should have a much better handle on the accuracy of those evaluations this Sunday morning, by which time the Wildcats will have played road games at Utah and Colorado, and the Bruins will have been tested on the home floors of Cal and Stanford. Facing the Utes and Buffaloes may not sound like a harrowing ordeal for a 23-2 team, but both of those arenas are four or five thousand feet higher than what the Wildcats are accustomed to and we saw what that can do to a highly-ranked team from a salubrious climate when San Diego State ventured to Wyoming last week. Besides, I want to see if Nick Johnson can put the ball into the basket when Brandon Ashley’s not on the floor. So far the answer there has been an emphatic no. As for Steve Alford’s men, if they can successfully navigate this NorCal swing it will be time to start proclaiming them underrated. There’s a lot to like with a group that’s solid on both sides of the ball and throws a Kyle Anderson-Jordan Adams nucleus at you. The only thing that gives me pause is Alford’s apparent comfort with opponents firing away from beyond the arc. That comfort is masked to an extent by the fact that Pac-12 offenses in general don’t like shooting threes. But relative to the respective league averages, UCLA is in fact more welcoming to a three-point attempt than any major-conference defense besides SMU. (And I wonder about the Mustangs in this respect, too.) If the Bruins draw Creighton in the round of 32, things could get interesting. SEC: Can Georgia make history? We’ll be talking about Florida and Kentucky the rest of the season, so as a valedictory note to the other 12 teams allow me to remark that Mark Fox’s men sure like shooting free throws. The scout on Charles Mann is simple: Flee! Don’t let him dribble into you! Run out of bounds if you have to. On the season featured scorer Mann has attempted 197 shots from the field and 201 shots from the line, giving the young man a rather robust FTA/FGA of 1.02. Mann makes Julius Randle look like Ethan Wragge. Fox’s zeal for free throws is, of course, perfectly rational with a rotation’s that’s making just 43 percent of its twos against conference opponents. I wonder if other offensively challenged teams might follow the Dawgs’ lead. I kind of hope not. Saint Louis has now ascended all the way to a top-10 ranking in the polls. Saturday’s 64-62 win at home over league rival VCU marked the Billikens’ 17th consecutive win, no mean feat. But with 17 wins in a row, we would customarily see a larger number up there than +0.12. No one plays mistake-free defense quite like SLU — never fouling, always getting the defensive board — however this same team also has the A-10’s No. 9-ranked offense. I also recommend that you resist previous-team stereotyping, because these guys don’t take care of the ball as well as last year’s Billikens did. Jim Crews’ group is being projected as a No. 4 seed and, based on what we’ve seen to date, I’m in caveat emptor mode. Just keep in mind, though, that in the agonizingly slow-in-unraveling A-10, SLU still has games to play at VCU and UMass, and at home against George Washington. Lot of hoops still to be played. I would be deliriously happy if my team earned a No. 1 seed, believe me. (Maybe next year.) You can’t watch the Selection Sunday show and see how the top seeds react and not know what a tremendous accomplishment a place on the top line really is. I just want us to keep in mind that this is what we’re arguing about when we debate whether Wichita State should get a No. 1 seed. It’s a dispute about an honor, but it has little to do with what will happen to the Shockers once they get into the tournament. Being a No. 1 seed is of course a great perk in the tournament because (so far) it virtually guarantees that you’ll get into the round of 32. (Wichita State could have used one of those guarantees in 2012.) But past that the advantage tends to be overstated. Just three of the last 16 Final Four teams have been No. 1 seeds, and while it’s also true that six of the last seven national champions have been top seeds I’ve always supposed that to be because the committee is able to look at teams like Kansas in 2008 or Kentucky in 2012 and do the right thing. I don’t suppose such teams would have lost by 20 in the round of 64 if they’d been given No. 2 seeds. If Wichita State runs the table I would like to see the Shockers get a No. 1 seed because that would be a very large and appropriate honor. On the other hand if Gregg Marshall’s men somehow draw a 2, they won’t be doomed. I’m still really looking forward to seeing San Diego State and New Mexico meet up in Albuquerque on Saturday, even though both Mountain West heavies sustained road losses last week. (And even though the Lobos still have work to do in the form of a road date at UNLV tomorrow night.) The numbers tell the essentials here: SDSU has clearly the league’s best defense, and Craig Neal’s team possesses far and away to MWC’s best offense. Xavier Thames has been rightly lauded all year long, and he looks to be on a glide path for a well-deserved Mountain West POY award. And, who knows, maybe a couple games against Thames and company can finally shed some light on Lobos like Cameron Bairstow and Kendall Williams, because these two have been very tough to stop. I repeat: Saturday night at 10 Eastern, required viewing. BYU just finished an odd swing through Northern California, losing where you might think the Cougars would have won (Pacific) and then winning where you might think they would have lost (Saint Mary’s). No matter. The preliminaries are at last out of the way, and Dave Rose’s men can now face the task at hand: Gonzaga comes to Provo Thursday night. The Cougs are squarely on the bubble, and a win over the Bulldogs won’t automatically get them into the tournament as much as a loss would be the first club that anyone arguing against a bid would pick up. (Well, that and the aforementioned loss at Pacific.) The stakes couldn’t be higher for the home team, and if SMC big man Brad Waldow should get it into his head to buy a ticket at the Marriott Center that evening there’s a good chance you’ll have the entirety of the All-WCC first team right there under one roof. Required viewing. This entry was posted in counting things, hoops, tuesday truths on February 18, 2014 by johngasaway.